The inspiration for this design came from Ed Speer's stand made of pipe and pipe fittings. 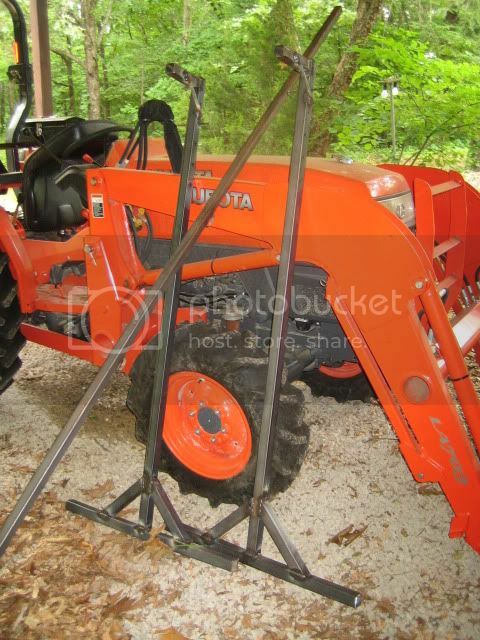 I made one for Deer Camp, and was well pleased with it, but it was heavy and expensive. I decided to make one out of 14g square tubing, and made a few tweaks along the way. 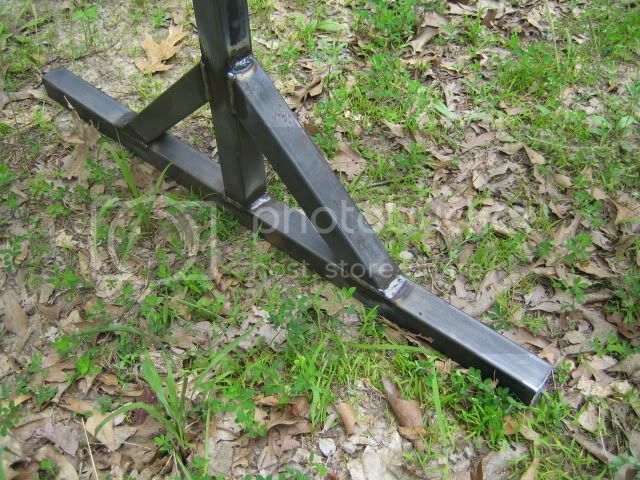 First, a couple of observations...I'm not wild about stands that rely on a frame that runs under my back...can't quit thinking about how much that 2x4 would hurt, in the event of a sudden drop. Also, most existing DIY designs have large footprints, rendering them unusable indoors, in vehicles, and tents. With those considerations in mind, this is what I came up with. 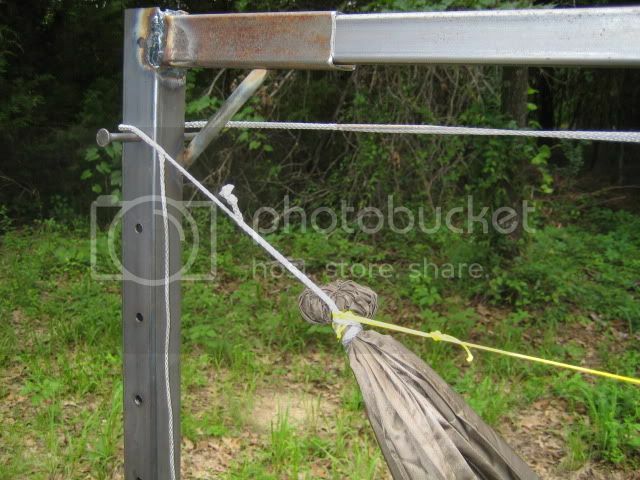 The brace here is offset, so that the hammock can be snugged up all the way to the upright w/o interference. Holes are drilled every three inches in the uprights to allow the height to be adjusted. That's a 60p nail that I'm using. 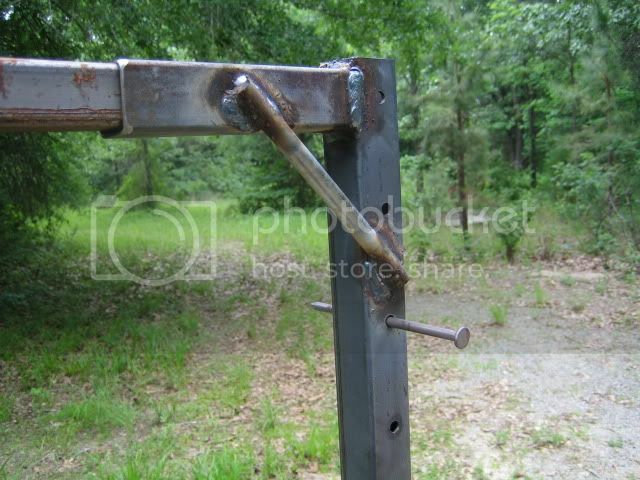 This piece is 32" long, which will allow the stand to sit close to the wall on my porch. 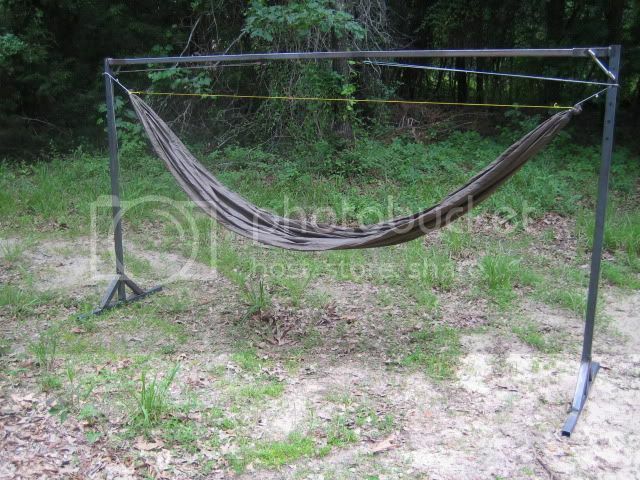 That's an 11' Smokehouse hammock with a 9' ridgeline. 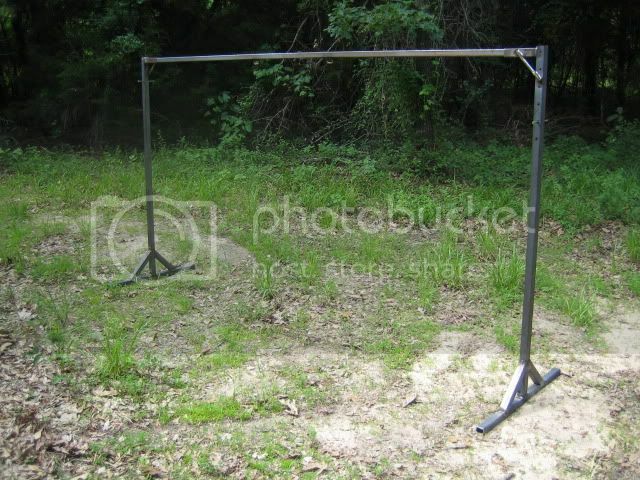 The top bar is 10' long, making the oal of the stand 10' 3". There's room to spare. The first one of these I built is 8' 5" oal, and is in my van. 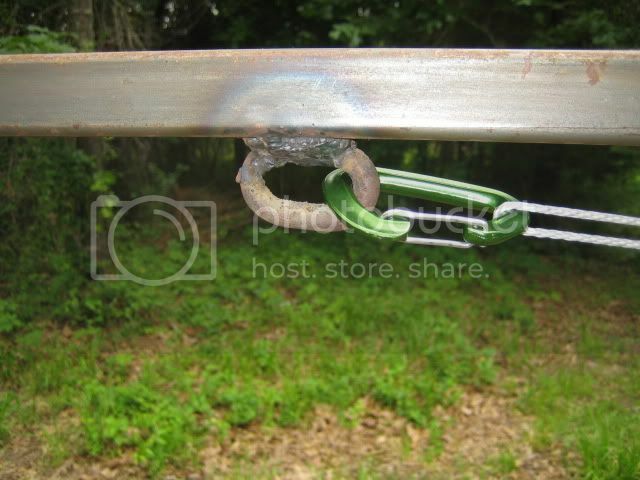 The whoopie passes around the upright, and clips into a link of chain welded to the top bar. Doubling the suspension back on itself is what allows the stand to be so short. Broken down into three pieces. The top bar could easily be made in two pieces, making this stand very portable. The uprights are 67.5" long.